The latest developer build of Mac OS X 10.6.2 fixes support for the Intel Atom chip which was previously disbaled as an attempt to stop people loading their operating system onto hardware which it wasn’t intended for. The update reportedly contains fixes for AirPort performance issues on newly released iMacs and “resolves a problem with plugging and unplugging to an Apple TV,” whatever that might mean. There’s fixes for VMWare, USB, Apple Filing Protocol, and tweaks to nearly 150 OS X components, including AppleBacklight, Battery Menu, Dictionary, Expose, FileSync, Family Controls, Fonts, Front Row, HFS, Inkwell, iPhoto, MobileMe, OpenCL, Parental Controls, QuickTime, Screen Sharing, Spell Checker, Spotlight, and Time Machine. The final release is expected to be rolled out sometime in November. 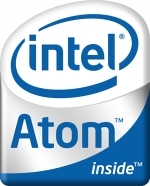 Hopefully this will mean that Apple have changed their mind and will be allowing Intel Atom support again or that someone will manage to work out how to apply this to the final release if need be, so that the hackintosh community can continue. Toradex have just announced there new Robin Modules which will allow you to run an Intel Atom CPU on a credit card sized board. The Robix Z5xx Nano COM Express Type 1 Computer Module, can be powered on an Intel Atom proccessor of 1.1GHz (Robin Z510) up to 1.6GHz (Robin Z530). These small computer modules will be great for very small based devices and extreamly small computers. The boards provice a wide range of interfaces for mass storage device, up to 2GB SSD (on-board), an on-board MicroSD slot and a SATA interface; giving a lot of choose for storage on these small boards.